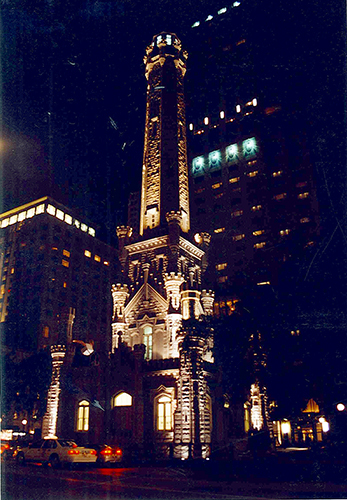 The Water Tower, one of only a handful of structures that survived The Great Chicago Fire of October 8, 1871. July 10, 2001. 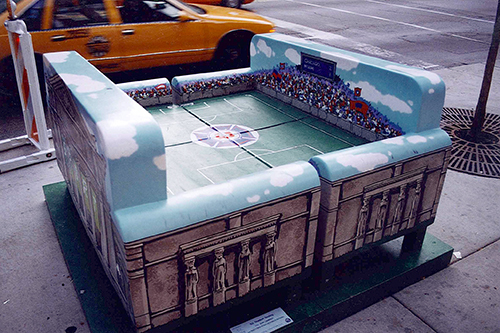 Soldier’s Field, home of the Bears, was the idea for these two chairs pushed together to celebrate The Chicago Fire, Chicago’s MLS team. July 10, 2001. 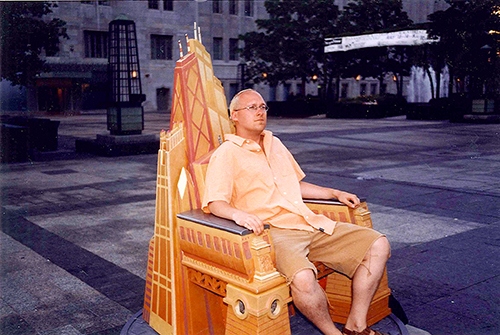 Me in a Chicago Chair by Tribune Tower. July 10, 2001. 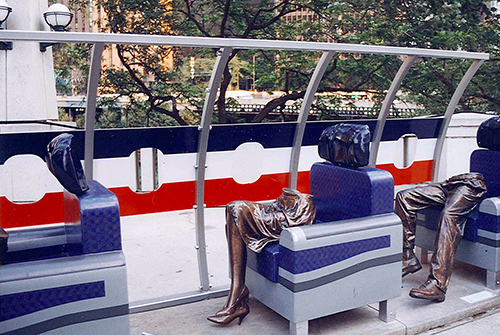 One of the most eerie public art pieces foreshadowing something that would change the course of American history. July 10, 2001. 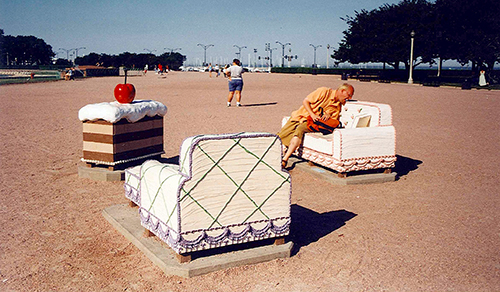 Cake Chairs by Buckingham Fountain. July 10, 2001. 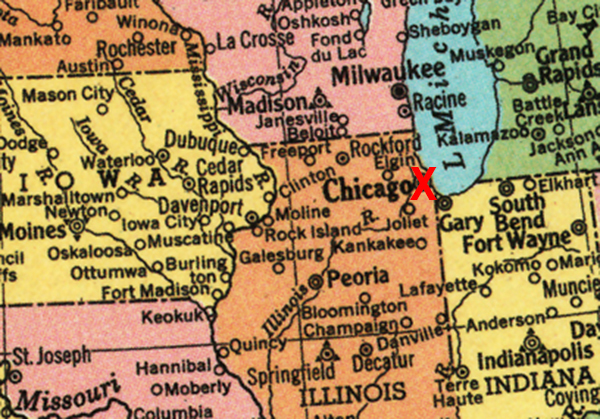 On the edge of Lake Michigan, Chicago illuminated in the distance. 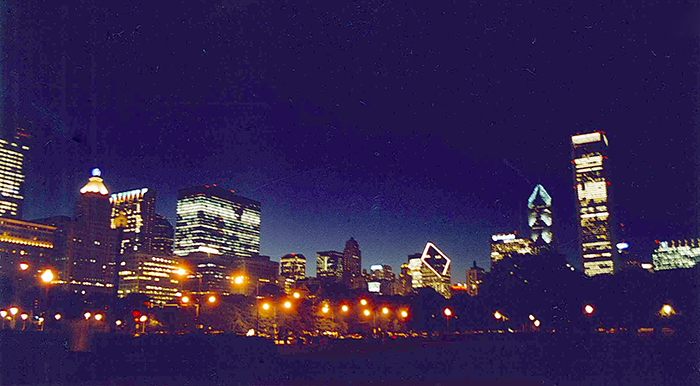 July 10, 2001.